In this episode of CauseTalk Radio, Megan and I talk to Tonia Zampieri, Mobile Strategist, Atlantic BT about how mobile technology is changing nonprofit communications and cause marketing partnerships. We discuss having separate mobile strategies for smartphones and tablets, and some interesting new research on the connection between emotion and mobile ads. Tonia also walks us through a new contest being sponsored by Atlantic BT that will give one lucky nonprofit a mobile makeover worth $25,000! 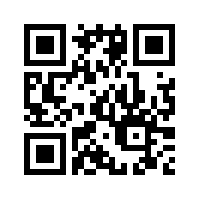 I generally don’t recommend QR codes for web pages. You might as well use a plain old hyperlink. But if you’re planning to listen to CauseTalk Radio on the go, scan the above code with your mobile device and you’ll always have a direct link to our podcasts on iTunes.